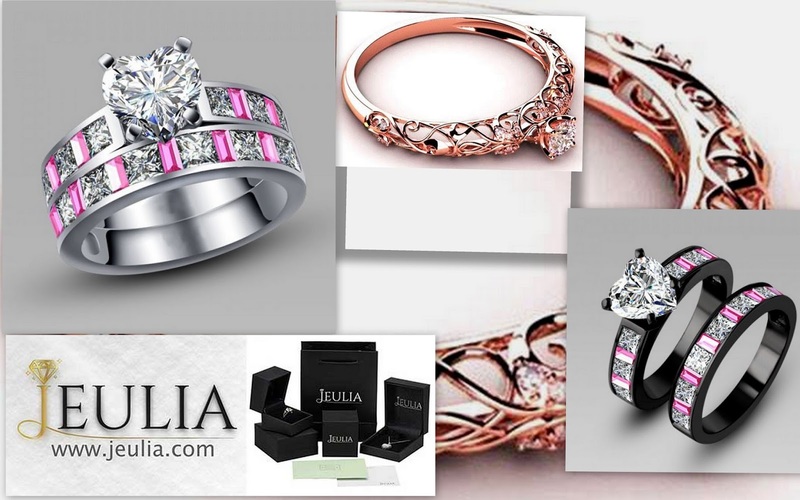 Jeulia is an online store with quality products with affordable prices. I saw lots of beautiful rings, and am gonna show you my favorites. Lets start with the engagement rings, for the guys planning to go the extra mile for there love ones. Engagement rings are symbols of the love, devotion couple shares. You can get it as a christmas, new year, wedding anniversary or birthday gift. Customization is available which takes just a week to be ready, the shipping is very fast and you can pay with the safest method which is paypal. Jeulia rings are made with quality materials which make them outstanding in the market.The size chart is easy to understand. Before getting any ring please carefully use the size chart. Just as stated on the website, here are some things you need to know. A color stone produced in a laboratory setting. Lab-created stones have the same chemical, physical and optical properties as natural gemstones. A stone rests in a metal base with prongs that extend to its girdle, securely holding it in place. Four-prong settings are the most popular, but some settings use more for added security. A durable jewelry metal consisting of at least 92.5% pure silver and 7.5% alloy. Follow Jeulia on facebook and pinterest.